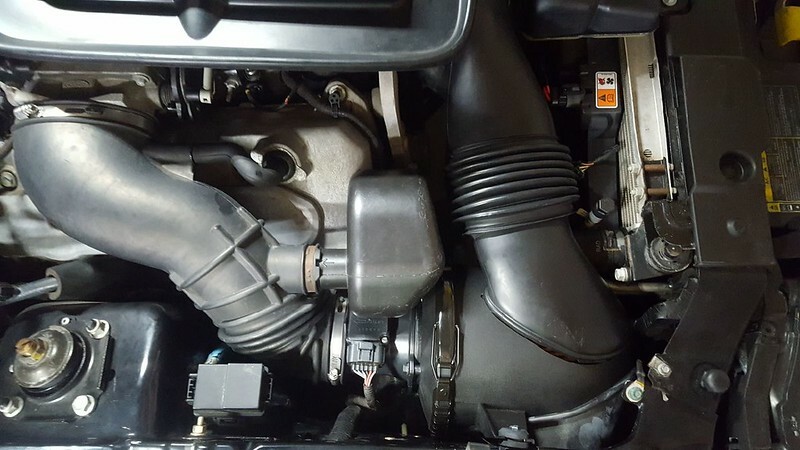 Looking for a stock take off air intake for a mach 1, surely someone took one off their car they no longer have a need for? I hope that someone has the complete setup for you that they are willing to part with; I put mine back to stock and it was kind of a slow process finding the pieces. Got a couple here, and also on ebay. Check the photos of those that are offered as salvage, etc. ; these parts have some age on them. I MAY in the garage. I'll check. May have tossed it a while ago. Tube, box and filter, mis hoses and clamps. I don't have the "milk jug", that I can see. How much for that thrown in a box shipped to 39466? Assume milk jug is "silencer"?? Correct, looks like it's missing the MAF also. Been awhile since I've used it so not sure what other tiny bits are missing. Say $65 shipped? pm me your paypal addy and Ill take it thanks!